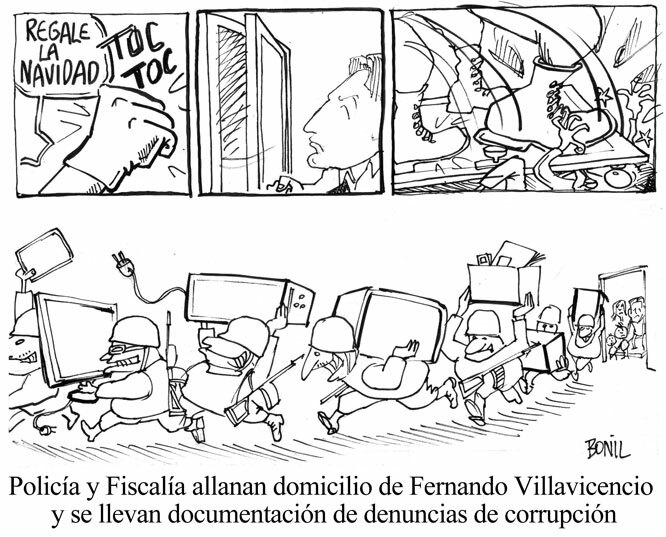 If there’s a face of Ecuador’s widening efforts to censor the press, it’s cartoonist Xavier Bonilla. 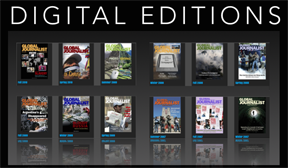 Known by his pen name Bonil, his biting criticism of President Rafael Correa’s government has led to two high-profile run-ins with Ecuador’s new censorship office, the Superintendent of Information and Communication, or SuperCom. Created by a 2013 communications law that granted the office wide latitude to prosecute and fine journalists and media outlets, SuperCom first went after Bonil for a cartoon published in December 2013 in the newspaper El Universo. The drawing depicted a police raid on the home of Fernando Villavicencio, a journalist and opposition politician who had been investigating the government’s handling of a lawsuit against oil company Chevron. It showed the police making off with not only files but a television and other electronic devices. For this drawing, SuperCom fined El Universo 2 percent of its quarterly revenues and ordered Bonil to print a ‘correction’ to the cartoon. 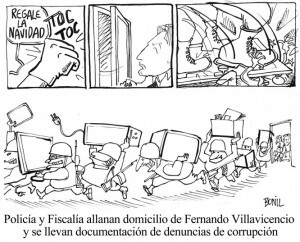 Bonil complied in February 2014 by publishing a cartoon portraying Villavicencio welcoming and encouraging security officials to empty his house. SuperCom did not respond to interview requests by Global Journalist. Bonil and El Universo ran afoul of the SuperCom censors again this year after Bonil published a cartoon photo montage depicting Agustín “Tín” Delgado, a former member of Ecuador’s national soccer team who was elected to the national assembly as part of Correa’s PAIS Alliance. The cartoon shows Delgado, who stutters, stumbling over his words during a speech. It also includes a play on words using “Pobre Tín,” or “poor Tín,” and “Pobretón,” or “poor guy,” to imply “that people may feel sorry for Delgado for fumbling a political speech, but no one feels sorry for his hefty government salary,” according to a translation by the Index on Censorship. 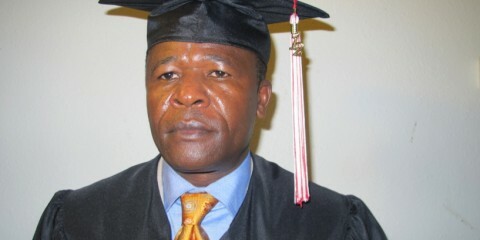 Correa responded by publicly labeling the cartoon racist since Delgado is of African ancestry. SuperCom has opened a case against Bonil over the cartoon, charging him with “economic and social discrimination” and has asked El Universo to publish an apology on its website’s home page for seven days. 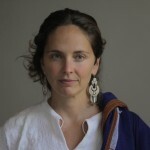 Bonilla recently spoke with Global Journalist’s Jinghong Chen and Pablo Gabilondo about the charge and the media environment in Ecuador. Global Journalist: What’s your experience with Ecuador’s Superintendent of Information and Communication (SuperCom)? Bonilla: Last year, the Superintendent of Information and Communication made me run a correction to a cartoon. I think that is the first time and a unique case in the world, I guess. But the government also fined the newspaper $90,000. Now one year later, the SuperCom called me again to explain a cartoon. Some groups of African descent said my cartoon is racist and socially and economically discriminatory. I do not understand where there is discrimination. I asked them to prove where in the cartoon I am talking about skin color. I am talking about a member of the parliament for the ruling party who is in the national legislature but has difficulty reading. I asked people how can a representative who has problems reading make decisions for us, for my country and my family. Who is the racist here? The president accused me of racism, which is a crime. But accusing someone of having committed a crime without evidence is also a crime. GJ: How did the government respond to your arguments? Bonilla: Their lawyer has talked about the history of racism, and he showed me many examples of racism around the world. You can feel that you are offended by a cartoon, but accusing someone of discrimination is another thing. You have to prove how that cartoon limits your rights, and I do not know how my cartoon has deprived the rights from this person. A journalist or anyone on the street has the right to watch and control the work of public officials. It’s a public function; it is our right. We can say whatever we think about them, because we pay them their wages. 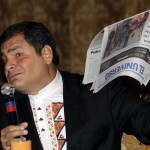 GJ: What do you think of Ecuador’s communication law approved in 2013? Bonilla: From the beginning of his government, President Correa has declared a war on journalists and the press. He said that the media are his enemies. His press secretary also said the press is like weeds that need to be cut down. The law is full of ambiguity, so the authorities operate freely, without any control. For example, opinions are regulated by this law and this is one of the hidden issues. Opinions mustn’t be regulated. This violation would already make the law unconstitutional because the constitution guarantees freedom of expression and opinion for all citizens. Opinions are regulated because they’re considered as communication products. GJ: You were fined $90,000 most recently. Previously you were forced to give back 2 percent of your wages for several months. How has this affected you? Bonilla: For the moment I’ve been supported by the newspaper that published my cartoons. I’m just a guest, a citizen. I don’t get a wage for my job; I’m just a normal editorialist, but there’s no doubt that the fines affect the media. If a newspaper publishes my cartoons, it’ll be fined and the fine may increase. [Part of the most recent sanction] would require printing apologies for seven days, which would leave the door open to future stupid sanctions related to racism in pictures or controversial headlines. What they did is totally subjective and illegal. GJ: Does this law affect your day-to-day work as a cartoonist? Bonilla: Not me personally, but I think it affects the newspaper. They have a lawyer who is constantly checking with the journalists and the editors to make sure that they don’t make mistakes. I think the editor is being censored, but not me, because I am a cartoonist. If I censor myself, I would not be a cartoonist anymore. 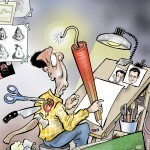 A cartoonist cannot censor himself. 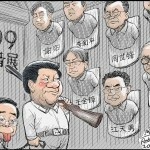 GJ: The government judges the cartoons as if they were journalistic articles, what do you think of this? Bonilla: This can be very funny. For example, Correa is in a war against memes. The host of an important TV show [British comedian John Oliver of HBO’s “Last Week Tonight”] referred to this ridiculous issue in his show. Correa replied to him by saying that jokes and comedians in general don’t exist in the United Kingdom, ignoring obviously a long list with names like Charles Chaplin and Rowan Atkinson. Since the beginning, the government has tried to control all opinions that the president wouldn’t like. Many spots are created on TV in which Correa is idolized. It’s genuine propaganda. When he stated that my cartoon was racist, he literally called people to act against racist people. This is how the government works in Ecuador. 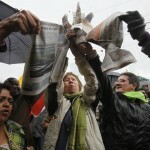 GJ: Do you think the climate for free expression will improve in the future? Bonilla: It is very difficult because the communication law establishes an ombudsman. So there is a public officer paid by the private media whose job it is to censor or to decide whether content can be published or not. 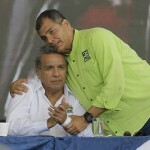 Mr. Correa also has proposed to modify the constitution to establish communication as a public service, like the water and electricity [allowing for greater government regulation]. 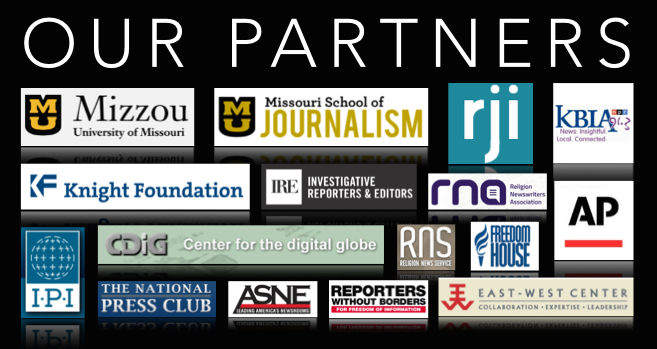 The space is closing for cartoonists and for journalists. Correction note: A previous version of this story failed to note that the ombudsman under the communication law is paid by private media companies.